Hey everyone, TGIF! So this week our featured cocktail is actually a beer, but a very in season one at that. As everyone is still nursing their hangovers from the fourth of July, others would rather choose to take "The Hair of The Dog" path. Well, this refreshing beer is a great way to do so! 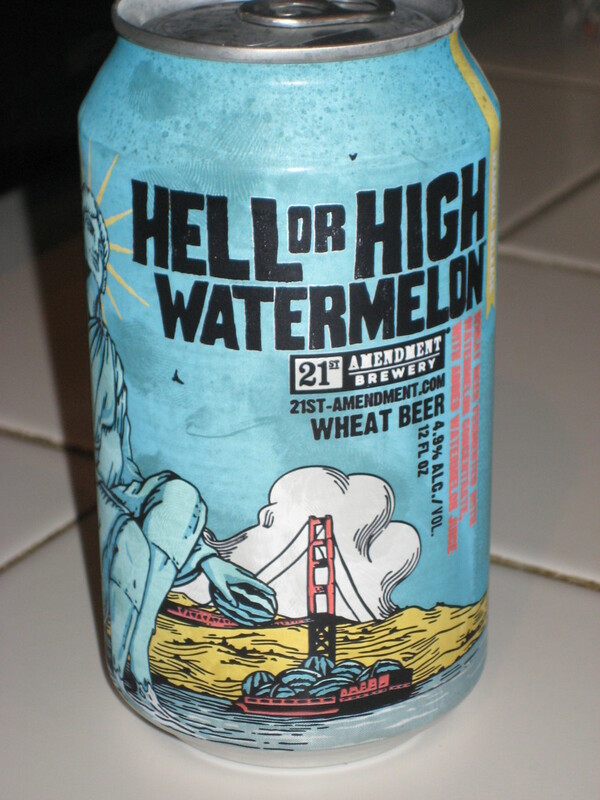 Hell-Or-High-Watermelon is a wheat beer that is very light in its looks and its taste. The first sip you take leaves you feeling like you just bit into a fresh piece of watermelon, but without the seeds! Not much to complain about there, right? It's crisp and refreshing while not being as filling as a regular beer, which leaves you plenty of room to drink more! This beer can be found at The Writing Room on the Upper East Side, The Well in Williamsburg, or even as a six pack at your local bodega.